This unique historic district is located three miles southwest of downtown and was one of the first street car suburbs of Atlanta. The community is a perfect mix of modern conveniences, old trees, and historic homes. With five city parks and over one mile of the Atlanta BeltLine in the community, you can find it all at West End. West End was founded in 1835 and was an important railroad crossroads for the region. Through the late 1800s, it was a highly sought after community due to the large number of railroad companies utilizing the area. The homes that are still there today were built during this time. The Wren’s Nest, was built here in 1870. It was the home of Joel Chandler Harris who penned the Uncle Remus tales. It is now a National Historic Landmark and museum. The West End Trail was the very first leg of the Atlanta BeltLine is a three-mile-long combination of multi-use trail and greenspace. West End sits at mile marker zero. 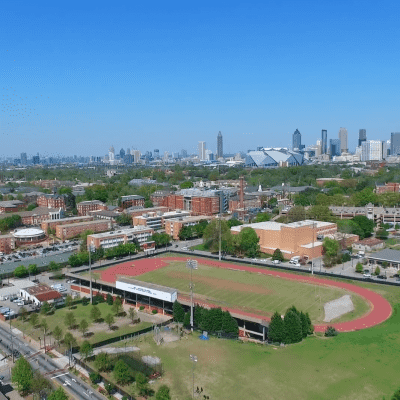 The BeltLine connects dozens of intown Atlanta neighborhoods while the West End Trail features art from local artist and a path for runners, bikers, walkers, and pets alike.